LEED® is Leadership in Energy & Environmental Design. The LEED® Green Building Rating System™, as promulgated by the U.S. Green Building Council, aims to improve occupant well-being, environmental performance and economic returns of buildings using established and innovative practices, standards and technologies. The following buildings are focusing on achieving excellence in LEED® certification by utilizing steel as a primary building material. 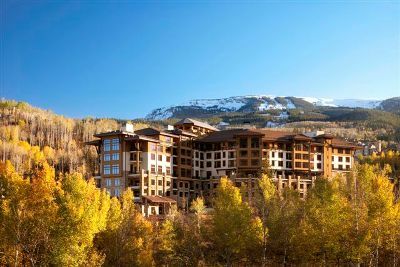 The Viceroy Hotel is the first Colorado hotel to achieve LEED Gold certification. Designed by OZ Architecture, the hotel is a 365,000 sq. ft, high-end ski-in/ski-out resort with a conference center. The hotel is the first in Colorado to achieve the LEED Gold certification. It has integrated sustainable construction and designs. A structural steel roof will help with heating and cooling costs along with providing a recycled material to increase its overall LEED score. During construction, builders used sustainable construction methods such as using locally sourced and manufactured materials. They recycled, reduced and reused construction waste. The builders used more of materials that had recycled content and remanufactured plumbing, electrical assemblies and concrete structures. Consisting of 154 rooms, a full-service spa, and indoor pool the luxury hotel is a picturesque compliment to the beautiful backdrop of snow capped mountains. 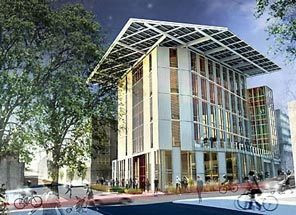 The Bullitt Center in Seattle, WA just broke ground and will utilize materials, such as steel, which come from within 300 miles of the location. 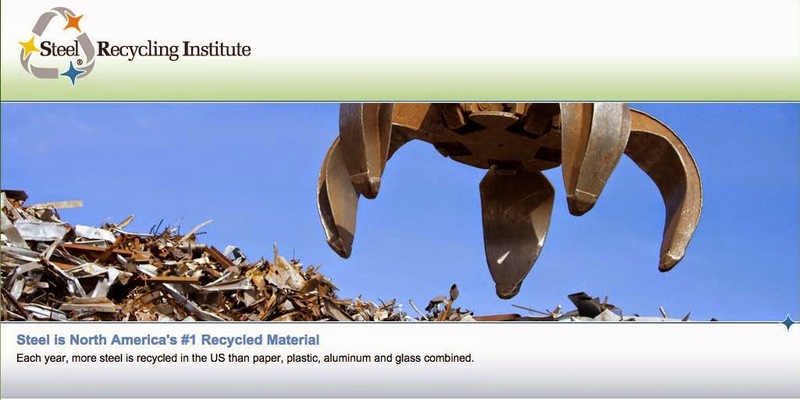 These local materials will significantly decrease the carbon footprint of the construction by decreasing emissions for transport and utilizing U.S. recycled steel. "We set out to build the greenest office building — by far — in the world," says Denis Hayes, president and CEO of Seattle's environment-oriented Bullitt Foundation, the center's owner. The six floor structure has been in planning for over three years when the University of Washington’s Integrated Design Lab, an arm of the architecture department, began brainstorming with Hayes and developer Chris Rogers. Hayes and Rogers hope this unique building will spark a drastic change in the way commercial buildings are designed and built. "Change is coming," Rogers says, "And we hope to be a part of it."